A recent poll suggested industry’s mission to lower its cost base and learn lessons from the downturn will be subjected to an acid test this year. Two fifths of UK respondents to DNV GL’s survey experienced price inflation from suppliers last year, and 44% have braced themselves for “notable” increases in 2019. People will have different interpretations of what represents a “notable” increase. But the experiences of bosses at two engineering consultancies indicate operators have little to fear. Indeed, more operators and suppliers appear to be singing off the same hymn sheet on costs. The penny has dropped that continuing to squeeze suppliers is no longer an option, and the operator community knows it. At the same time, it is in the supply chain’s interests to keep a lid on inflation and ensure the industry is sustainable long term. So, rates charged by suppliers are starting to creep up at long last, but they are certainly not going to spiral out of control. 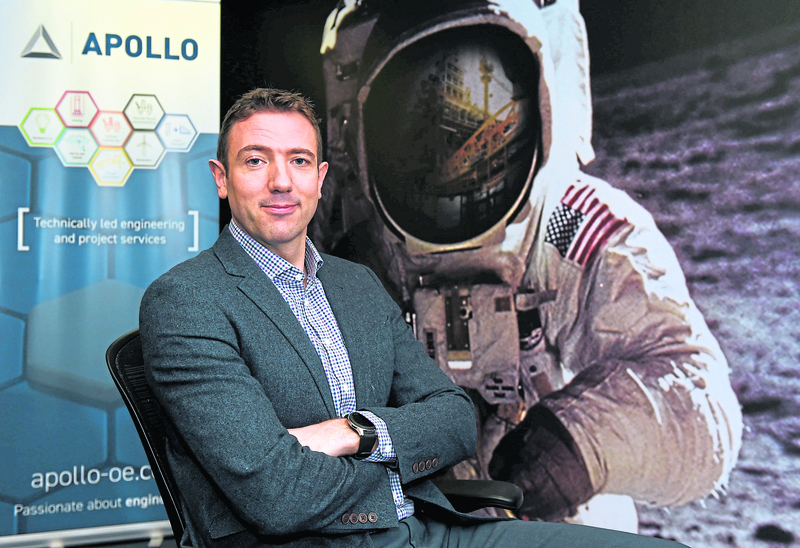 Ryan Menzies, managing director at Apollo, said: “Rates are still depressed but operators understand we have to make money and be sustainable. “Operators know we are at the bottom of the barrel and can’t be squeezed any more. Ray Riddoch (of CNOOC International) said that at a recent contractor council meeting of Oil and Gas UK. That’s over, it cannot go on. But the supply chain has an important role to play in keeping industry sustainable. We have to keep people realistic. Pricing points will start to increase a little this year. “We do not expect anything significant, but there is probably a requirement for rates to nudge up. In a separate interview with Energy Voice, Andrew Wylie, an operations director at Xodus Group, said: “During the downturn, the supply chain had to cut its costs by about a third. “We’re now seeing small increases, but nothing too much. We do not want rates to increase too much. We want industry to be sustainable. “An increase of 3-5% is fine. We do not need to go up 30%, because industry would not survive. Recruitment bottlenecks was another issue touched on by DNV GL’s poll: 39% warned skills shortages and an ageing workforce would be a barrier to growth. The annual Global Energy Talent Index (GETI), by Airswift and Energy Jobline, added further fuel to the fire. Nearly half of oil and gas professionals said they were worried about an “impending talent emergency”. Two fifths feel the sector is already in the grip of a crisis, with a further 28% expecting the problem to hit home within the next five years. Apollo’s Mr Menzies accepts a problem does exist, even if the chickens haven’t come home to roost yet. The firm employs about 60-70 people full-time in Aberdeen, and 110 at group level. Not long ago, it had 60 overall, so the company has seen a lot of growth. It also has a healthy number of graduates. Accommodating so many new people could have put a strain on Apollo, but the company coped. In fact, Mr Menzies feels he could have afforded to take on a few more people in the last year. “Skills are still a worry for industry, but it’s less of a concern for us,” said Mr Menzies, who has been heading up the group since chief executive Jonathan D’Arcy sustained a serious injury while cycling last year. “We’ve got a group of people who like working here, and in the short term we don’t foresee challenges. “In 2014-15 there were a lot of redundancies across the sector. Graduates were let go and industry is still hurting from that. “Those people would now be engineers with five years’ experience under their belts, but instead they do not exist. Beyond this year recruitment will become even tougher, depending on activity levels. “Drilling activity is still low and we’re not seeing mega projects: They’re coming to an end. “But good opportunities are coming through in brownfield as companies invest in keeping mature assets going. Xodus, which employs 300 people at group level, has also been in recruitment mode in the UK. It has about 185 staff members in Scotland, up from 160 in 2017. About 120 are based in Aberdeen. Mr Wylie said: “We see a rosy future so we’ve increased headcount. But it is getting more difficult to recruit and find talent. Graduates have more choice now. Xodus’ Mr Wylie said field development work had picked up in the last 12 months, though more than half of its work in that segment is international. The North Sea is heading in the right direction, but Mr Wylie said no big projects are expected to grace the UKCS in the near term and tiebacks are the order of the day. Integrity and asset support services are fruitful business streams. They also augment Xodus’ knowledge of installations, helping the company advise whether they could be used to facilitate new tiebacks. Mr Wylie said the company enjoyed working with small to medium-sized enterprises because it is they who get most value from Xodus’ services. 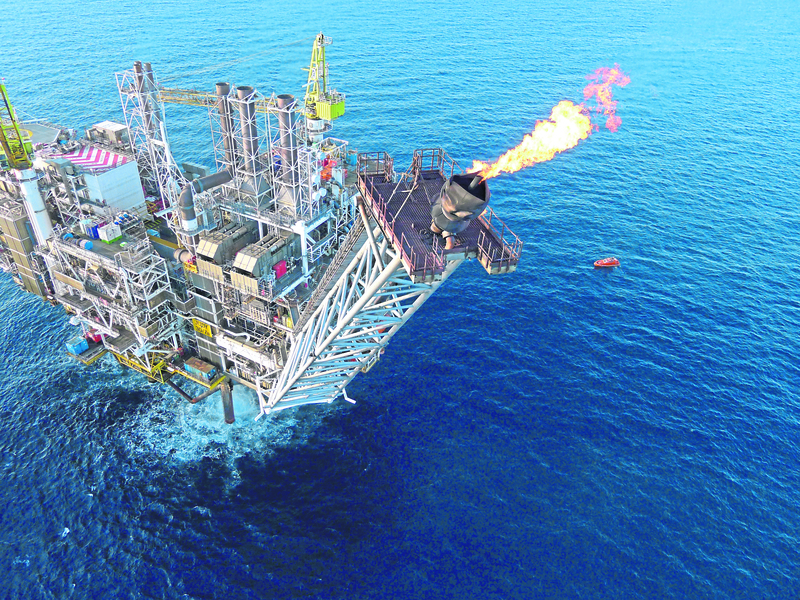 Clients have included Premier Oil, Dana Petroleum and Apache, while master service agreements have been inked in the last six months with newcomers Chrysaor, Siccar Point and Serica Energy. Steve Swindell, managing director at Xodus, is also excited about working with new entrants. He said: “With them, it feels like the shackles are off. They’re like the Manchester United team without Jose Mourinho. 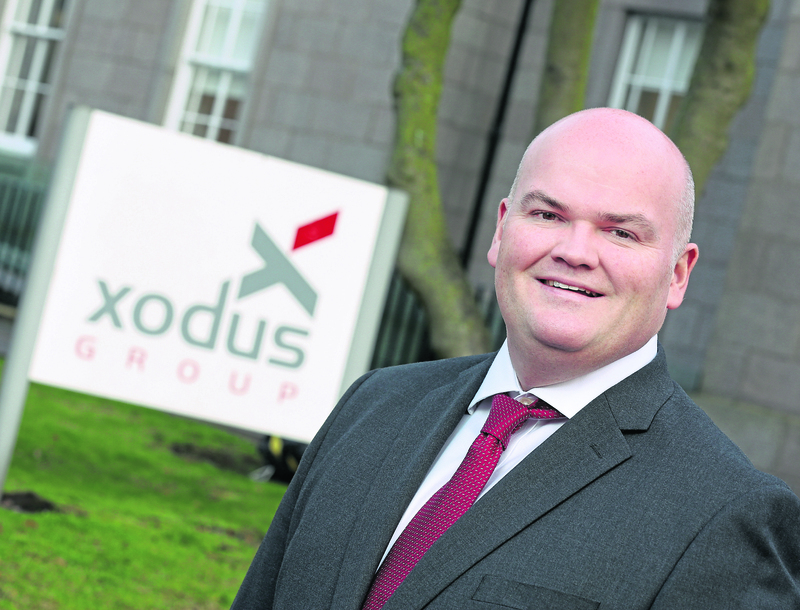 Decommissioning work is also boosting Xodus’ finances. In November, Xodus announced that its dedicated decommissioning division had secured several new clients and won contracts worth £2 million in 2018. Most of that work is in the North Sea and relates to the planning phase. Mr Wylie said: “By trying certain things, we can put cessation of production (COP) back by two or three years. We can look at production profiles and make small tweaks here and there. The company is doing a lot of permitting work in the North Sea, which is good news for the Oil and Gas Authority’s aspirations for spurring exploration. Mr Wylie noted the amount of drilling permits had increased in the last three months from different operators on the back of recent licensing rounds. Xodus also has an advisory team focusing on mergers and acquisitions. Back at Apollo, front end engineering and design (Feed) and consultancy services became the firm’s bread and butter after it was established in 2010. And though the marine and drilling markets remain challenged, Apollo has also seen signs of an uptick in the market, and has been picking up subsea Feed work. Mr Menzies feels there are big opportunities in the market for smaller players, and said Apollo, with its speed and nimbleness, was becoming a thorn in the side of tier one contractors. Mr Menzies said: “Our origins are in consultancy, and you do get pigeon holed. “So when it comes to EPC, some clients say, ‘well that’s not your bag’. “We were seen as too small. Operators went to contractors with bigger headcounts for a sense of security, albeit a false one. Mr Menzies acknowledged tier one contractors serve a purpose, and are particularly well-suited to undertaking big capital projects. But he said Apollo can compete with the “big boys” on brownfield projects – upgrades and modifications. Apollo’s KnowHow and KnowHow Dive asset integrity data management products have been picked up quickly by operators. “Rather than launching into an expensive repair job it might be that we don’t need to do anything for three years. Furthermore, he is convinced that the likes of Apollo have forced tier one contractors to change the way they work. “We can react more quickly than others,” Mr Menzies said. “Tier one has had to change and introduce new concepts and more efficient ways of executing smaller scopes. I think that’s in response to companies like Apollo. “We are lean, mean and hungry. We have to be profitable at all times. “We’ve spotted EPC opportunities. We have taken some work from the big boys and they do not like that, but we’ve forced them to change. Mr Menzies added: “It has been a tough few years. Apollo has punched above its weight and played a part in changing the industry. “We do not want people to forget the role we played and will keep playing. “We can’t go through the same old cycle and go back to having us just serving tier one contractors.